This is a downloadable product. That means you can buy these Audio album Set and download it immediately! The most cutting-edge didgeridoo lessons available anywhere! Upbeat, very engaging and easy to follow... you're gonna love these! From the basic drone through to playing complex rhythms, these albums give you everything you need to sound fantastic! An essential part of any didge players Training collection. 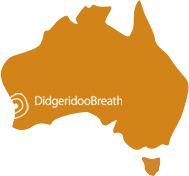 What does the Didgeridoo Breath team think? 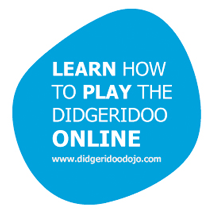 After checking out hundreds of different didgeridoo lesson CDs, DVDs, websites & books for sale around the world, we can confidently say the "Playing The Didgeridoo" series is the most incredible, easy to follow, high quality didgeridoo lessons we have come across. It is by far the best way to learn how to play the didgeridoo, from the beginner to the performer. We recommend it highly! I've only really just started with the set, so far it's great. I'm excited to continue learning and playing the didgeridoo. The download service worked well, thanks. More importantly I have been very impressed with my dealings with Elliot in the store who is knowledgable and service focused. I received my order of two didgeridoo's here in Dubai within a couple of days. The didgeridoo's are spectacular and just as ordered. Thank you for the great service.